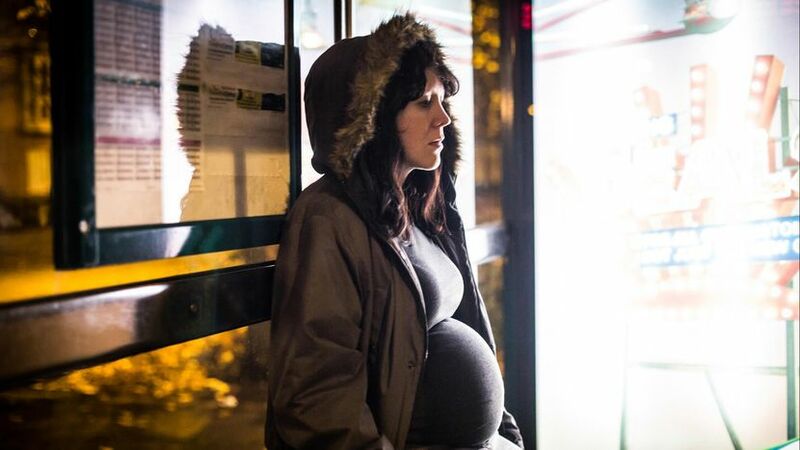 Directed, written by and starring Alice Lowe, Prevenge is a British comedy horror concerning a serial killer carrying out a string of murders while eight months pregnant. A fascinating exercise in contrasting the ghoulish with the mundane, it's anything but hard labour. Lowe plays Ruth, a recent widow whose homicidal spree is carried out under orders from the unborn infant nestling in her womb. Contriving encounters with strangers seemingly at random, Ruth picks them off one-by-one with a carving knife, becoming increasingly skilled at her task as the voice emanating from within grows ever-more shrill and demanding. As the body count rises, the connection between Ruth's victims becomes clear and matters come to a grisly head. Best known for cult TV comedy Garth Marenghi's Darkplace (2004) and Sightseers (2012), Lowe is an accomplished performer with a peculiar relish for black comedy. Very much on-brand given what we've seen before, Lowe's theme this time is deflating society's unquestioning, romanticised view of maternity and sending up the occasionally psychotic behaviour it can drive people to. 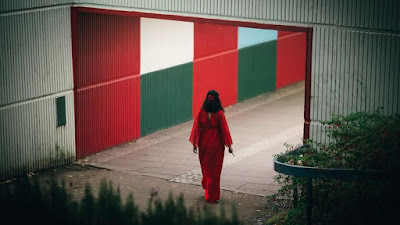 Prevenge proves to be both a satisfying genre picture and a serious examination of psychological collapse – Ruth suffering under the strain of unresolved grief over her partner's death in a climbing accident and the precariousness of her condition. In this respect, it has something in common with The Babadook (2014), another recent horror about a mother and child alone with their trauma. Like Jennifer Kent's film, Prevenge gives us, in Ruth, an anti-hero who deserves instant admission to the pantheon, her Day of the Dead skull facepaint a shoo-in to recur again and again come Halloween. Perhaps Prevenge's strongest suit though is its misanthropic streak, which shades Ruth's character and gives her crimes a true edge. The people she bumps off – a lecherous pet shop owner (Dan Skinner), a sleazy DJ (Tom Davis), a bland middle manager hiding behind her authority (Kate Dickie) - are all variously awful examples of human beings congealed by complacency, with the exception of Mike Wozniak's sweet-natured tenant Josh, whose demise - forced by necessity - adds a timely note of poignancy to proceedings and finally gives Ruth pause for thought. Lowe finds room for plenty of neat visual motifs – Ruth introduced staring at a black widow spider in its tank, the severing of a mountaineer's rope likened to an umbilical cord, the stabbings foreshadowing her own eventual Caesarean. Oddly though, the film's killings lack the same degree of invention. One might have expected lurid Grand Guignol spectacle from a piece that so strongly recalls the Vincent Price vehicles The Abominable Dr. Phibes (1971) and Theatre of Blood (1974), but instead Ruth's victims are dispatched with only the sudden flick of a blade and a spray of blood (one sickening castration aside). Maybe next time. And let's hope there is a next time, as Prevenge is an assured and left-field directorial debut from an under-sung comic talent.